To begin with, pension of the past pensioners would be re-fixed on the basis of pension of retirees of calendar year 2013 and the benefit will be effective with effect from 1.7.2014. Pension will be re-fixed for all pensioners on the basis of the average of minimum and maximum pension of personnel retiring in 2013 in the same rank and with the same length of service. Arrears will be paid in four equal half yearly instalments. However, all the family pensioners, including those in receipt of Special/Liberalized family pensioners, and Gallantry award winners shall be paid arrears in one instalment. 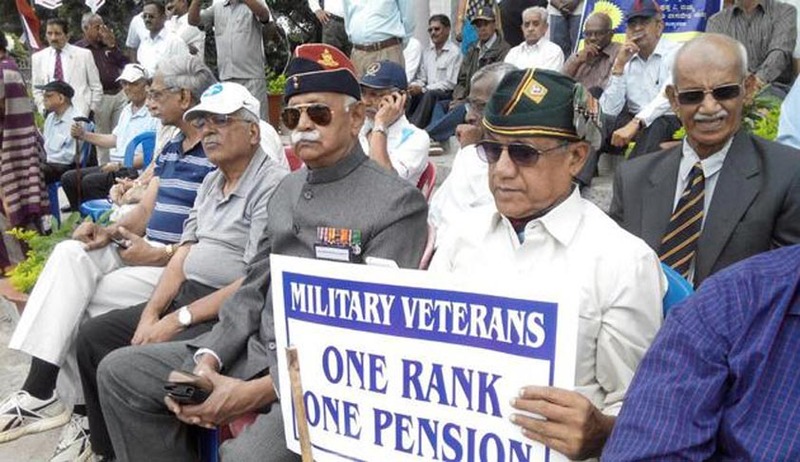 Personnel who opt to get discharged henceforth on their own request under Rule 13(3)1(i)(b),13(3)1(iv) or Rule 16B of the Army Rule 1954 or equivalent Navy or Air Force Rules will not be entitled to the benefits of OROP. It will be effective prospectively. The Govt. has decided to appoint a Judicial Committee to look into anomalies, if any, arising out of implementation of OROP. The Judicial Committee will submit its report in six months. Detailed instructions along with tables indicating revised pension for each rank and each category, shall be issued separately for updation of pension and payment of arrears directly by Pension Disbursing Agencies.